? 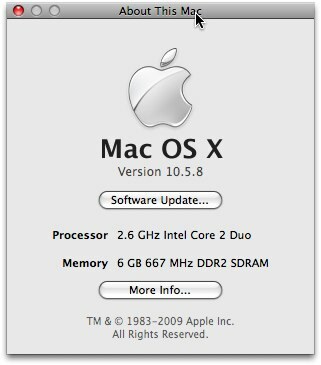 The Mac running on an Intel Core Duo. ?
? The picture is from 2008 but the copyright is 1983 - 2009? I think is the Memory,too.